Aerospace is a technologically advanced industry, that produces aircraft, space vehicles, missiles, aircraft engines and other associated components, certainly more so than the simple scrubbers and sweepers that we build. While much of this industry is geared toward government work, most of the companies involved have high housekeeping standards and utilize sweepers and scrubbers to maintain their areas. The world's leading producer of large and small jet engines uses Tomcat scrubbers to maintain some of their testing and assembly areas. 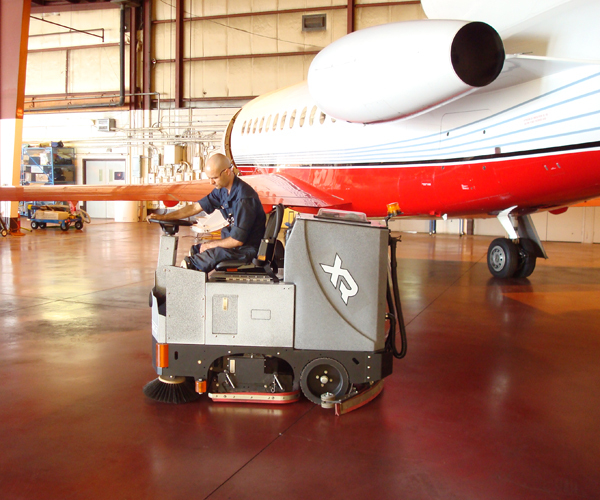 The Tomcat scrubbers have the ability to clean up any spilled fluids off the high gloss floors, leaving them dry and ready to use.